Martin Gardner is the author of multiple books including The New Martin Gardner Mathematical Library series (2008, 2009), aha! Gotcha & aha! Insight, and more. 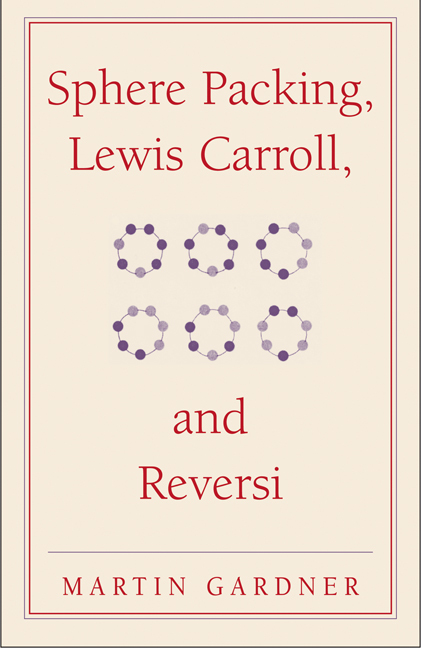 For 25 of his 90 years, Martin Gardner wrote 'Mathematical Games and Recreations,' a monthly column for Scientific American magazine. He has also made significant contributions to magic, philosophy, debunking pseudoscience, and children's literature. He has produced more than 60 books, including many best sellers, most of which are still in print. His Annotated Alice (W. W. Norton & Company 1999) has sold more than a million copies. He continues to write a regular column for the Skeptical Inquirer magazine.